Microsoft Message Queue (MSMQ) is a Message Oriented Middleware that allows applications running on separate servers/processes to communicate with each other. It provides guaranteed message delivery between applications inside and outside the enterprise. ManageEngine Applications Manager provides comprehensive performance metrics to monitor Microsoft MSMQ servers and helps ensure your messaging services are delivering messages in a reliable manner. Any downtime or degradation in the performance of MSMQ can lead to problems such as loss of messages within the enterprise, lack of communication between services, etc. ManageEngine Applications Manager actively checks the various key performance counters of MSMQ to track if the Queues are performing well. Microsoft MSMQ monitoring includes delivering comprehensive fault management and proactive alarm notifications, checking for impending problems, triggering appropriate actions and gathering performance data for planning, analysis, and reporting. Check if the message queues services are running properly. Ensure messages are being delivered correctly by tracking key performance counters such as Incoming messages/sec, outgoing messages/sec, total bytes in all queues, etc. The session stats are available when the computer has established a MSMQ session with another computer. 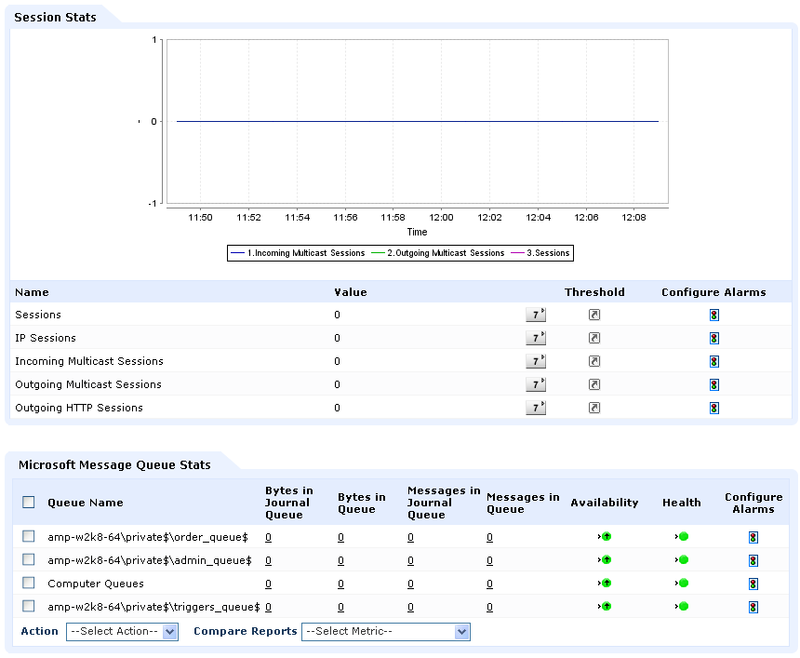 The message queue stats provide message statistics for the selected queue. There are instances for each queue on a computer. Attributes monitored include Sessions, Incoming/Outgoing multicast sessions, Bytes in Journal Queue, Messages in Queue, etc. 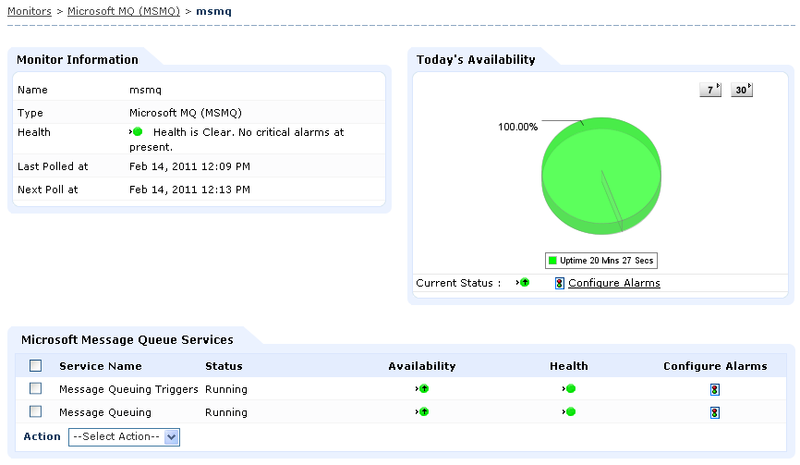 Ensure high uptime and peak performance of your Microsoft MSMQ servers. Increase the reliability of your MSMQ platform. Gain insight into the performance of MSMQ enterprise; troubleshoot and resolve problems and eliminate potential message loss. Plan capacity and make educated decisions about allocating resources. Monitor your entire heterogeneous IT infrastructure including physical, virtual and cloud components from a single console.